This timeless nautical theme inspired by summer escapes has been given an elegant update for SS19. Whilst texture is still present through the melange yarns and geometric weaves, the fabrics are sleeker and silhouettes are slimmer and more structured. The colours and fabric designs are more defined, reflecting the force of the ocean and the vividness created by the summer sun. Key colours include turquoise, true raspberry, ice-cream white, pewter, ocean blue, air-force and deep navy, with a pop of chartreuse found within casual pieces. 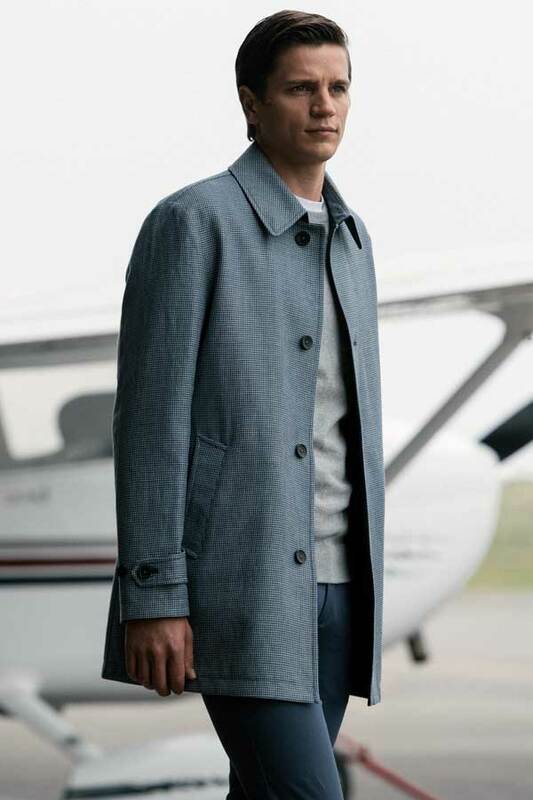 The hero pieces include Donegal silk cotton blazers, graphic herringbone knits, geometric and bold pattern printed shirts; a modern, water-resistant quilted jacket and a reversible mac. 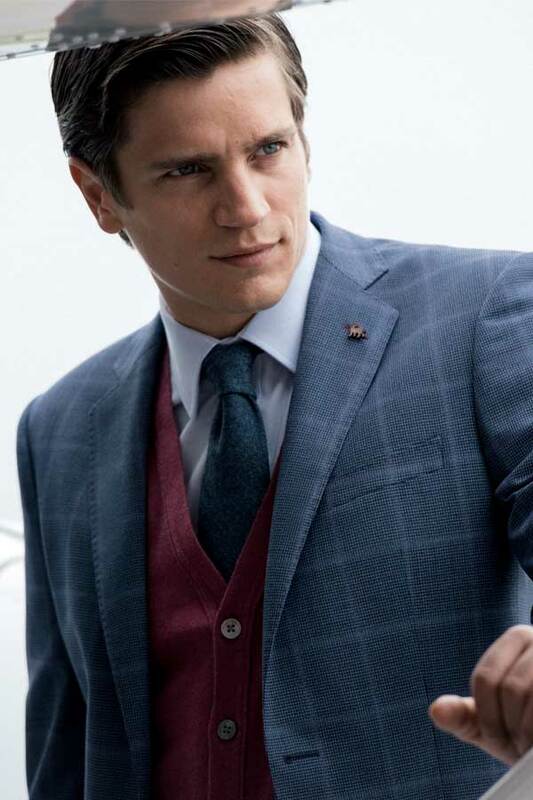 The Finn tailored 2-piece suit, the fabric is a textured puppytooth navy and lavender blue base crossed with a raspberry windowpane. Styled with the Kilgole – a fine cotton knitted waistcoat featuring charcoal mother of pearl buttons and the Ardbane tailored fit shirt in blue. 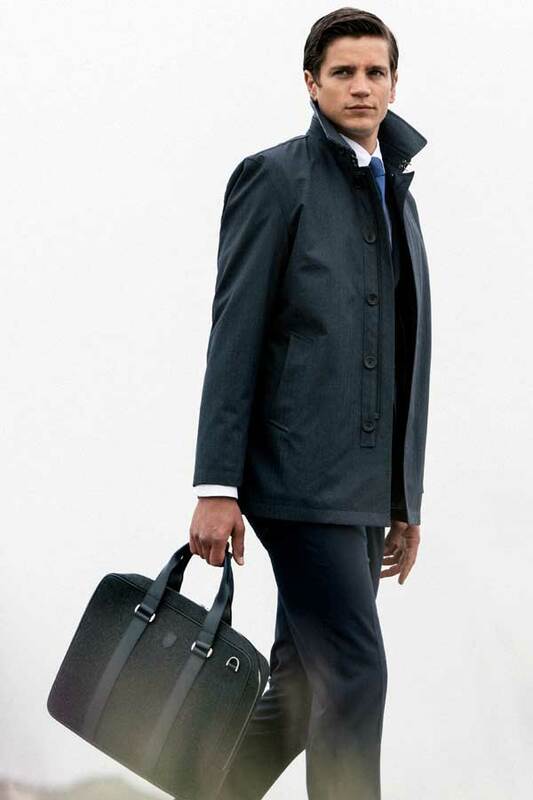 The Delvin Mac, a short functional and shower resistant coat. The fabric is a subtle slate blue herringbone, featuring a Magee Weaving puppytooth trim on the undercollar and cuff tabs. Styled with the Finn 3-piece navy travel suit and the Altahan tailored fit shirt in a dobby dot fabric. Featuring eco-suede elbow patches and kissing cuff buttons. 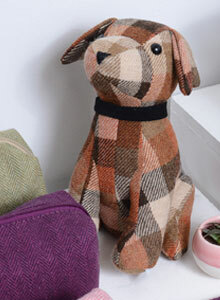 The fabric is a cotton blend geometric design. 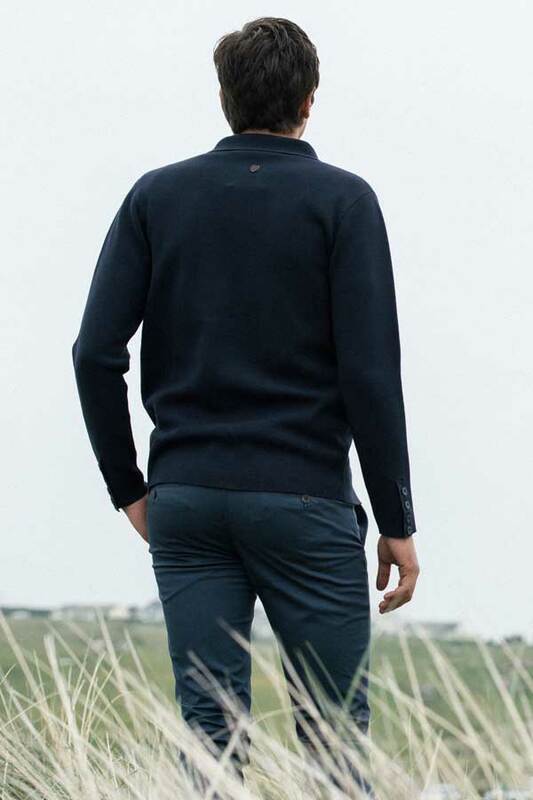 Styled with the Kiltoy navy knitted polo shirt in a beautifully soft and breathable cotton-bamboo mix and the Finver tailored fit, washed cotton 5-pocket trouser. Featuring subtle contrast trim on the front placket. 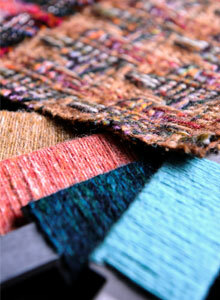 The fabric is a soft Irish Linen from Baird McNutt, in Donegal. 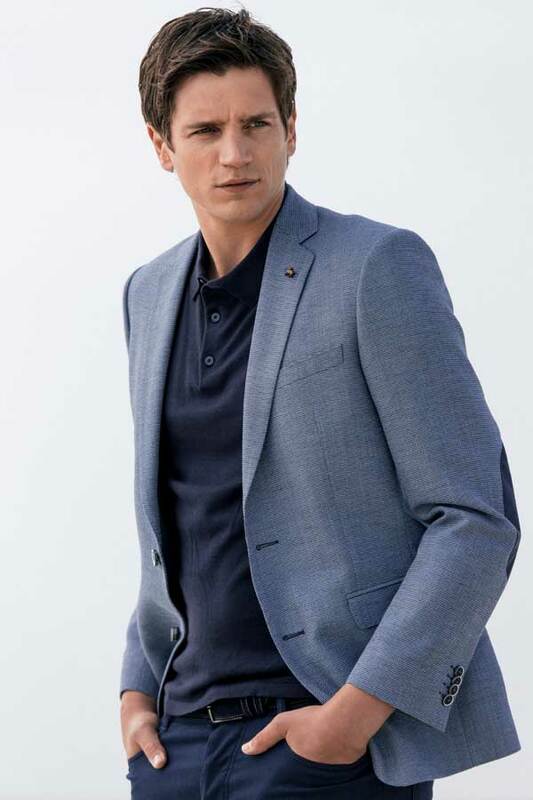 Styled with the Finver, tailored fit, 5-pocket trouser in navy. 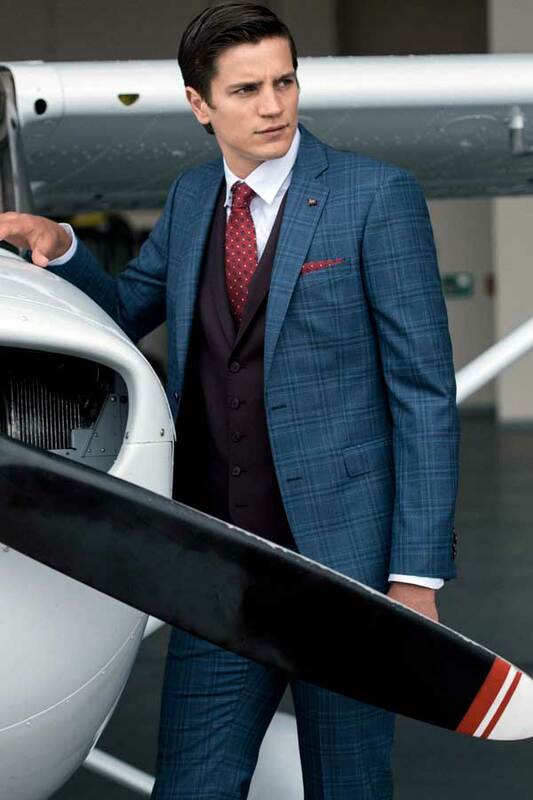 The Finn tailored fit 3-piece suit, featuring a contrast waistcoat, the fabric is a luxury super 130’s wool, with a blue sharkskin weave base overlaid with a burgundy glen check. Styled with the Ardbane tailored fit double cuff shirt. Featuring a puppytooth wool-linen blend, designed and woven by Magee Weaving and a shower resistant navy wool twill on the reverse. Horn buttons. Styled with the Carn plain grey cotton crew neck, the Clogher cotton t-shirt and Callan tailored fit washed cotton chino in airforce blue, trimmed with Donegal tweed. Featuring two chest pockets and gunmetal snap buttons. The fabric is an organic cotton denim with a light stone wash finish. Styled with the Clogher navy t-shirt and Callan tailored fit cotton chino in grey, with Donegal tweed trim.